From Forever Dreaming the “I Need My Beauty Sleep” nightdress in Purple. This lovely cotton rich, stretch jersey nightdress will ensure you get all the beauty sleep that you need. 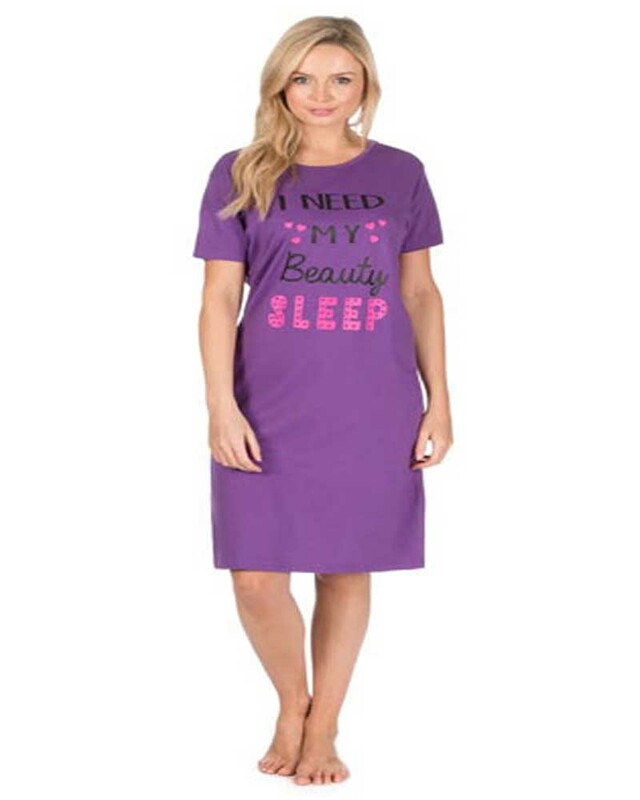 “I Need My Beauty Sleep” purple nightdress from Forever Dreaming. In a cotton rich, stretch jersey fabric for comfort. This knee length nightdress has a round neck and short sleeves. And features a printed slogan saying “I Need My Beauty Sleep”.